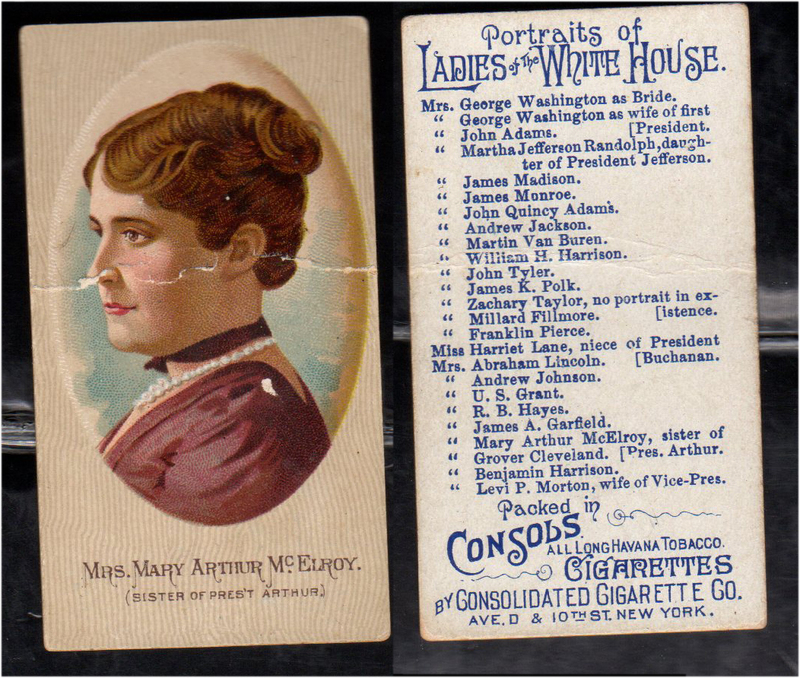 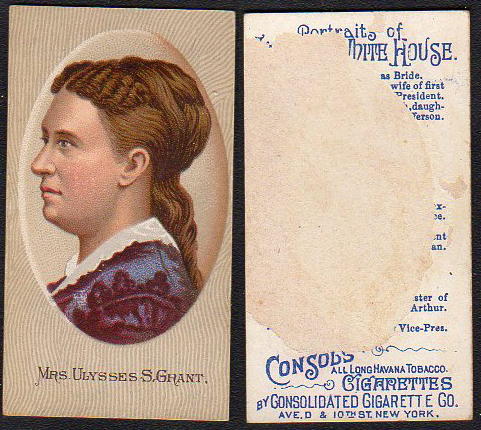 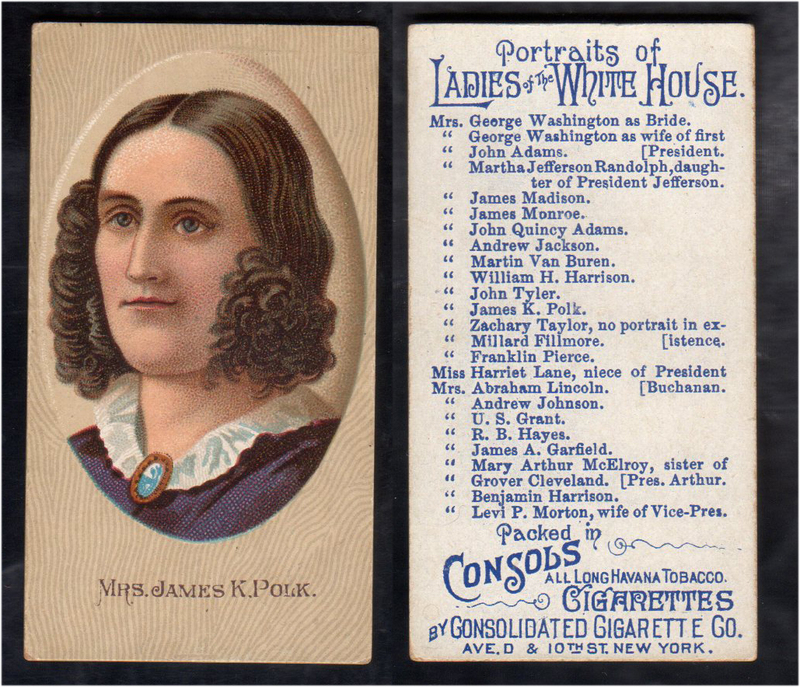 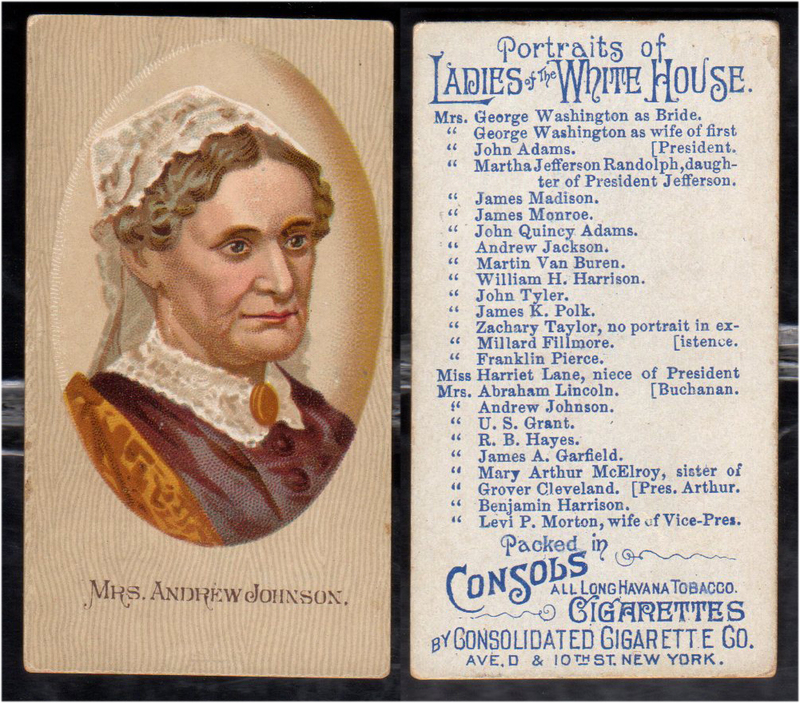 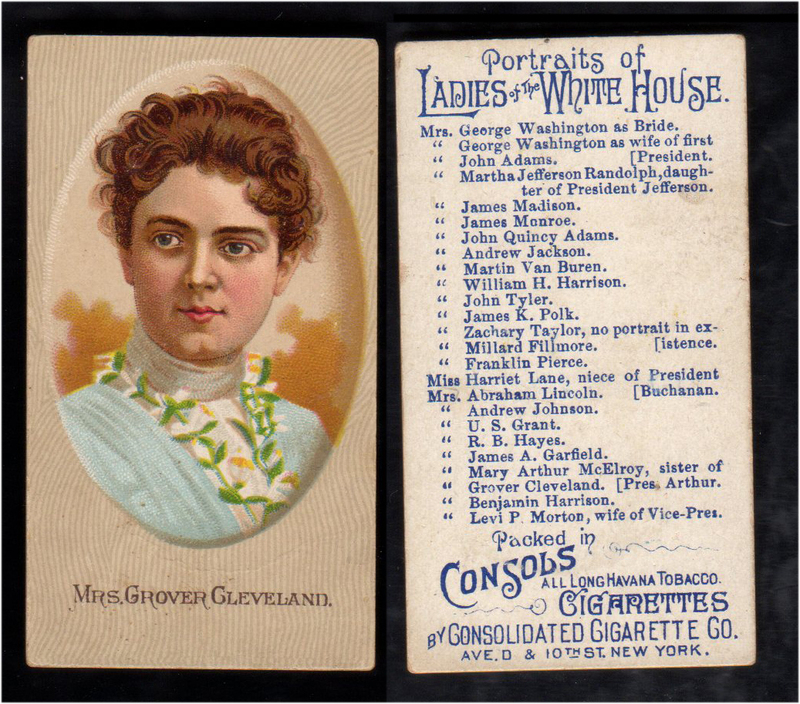 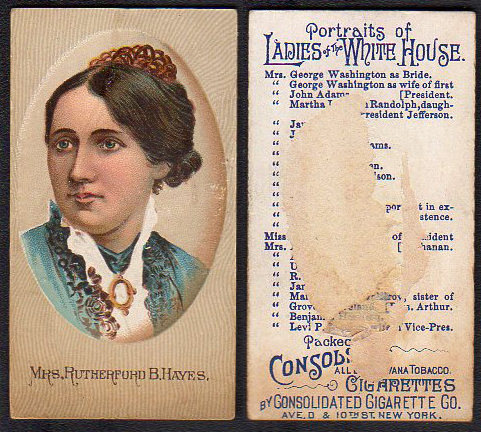 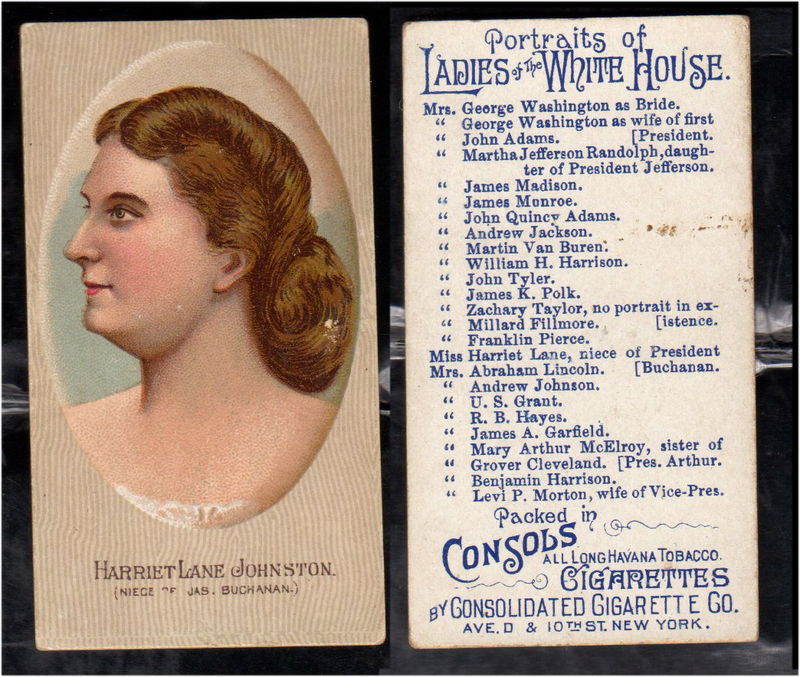 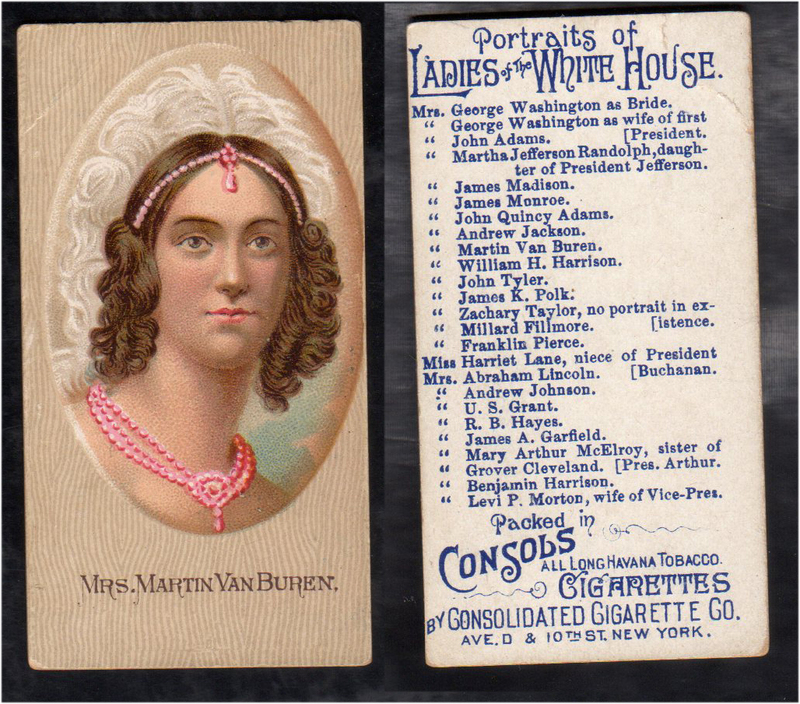 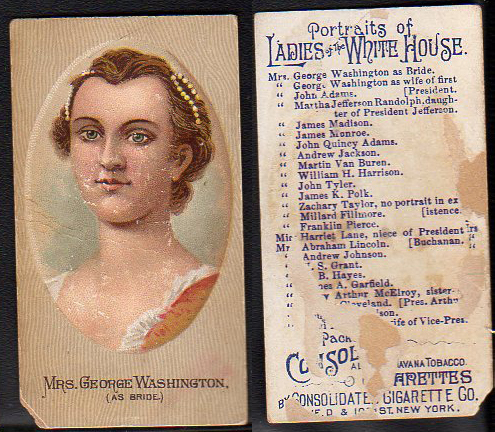 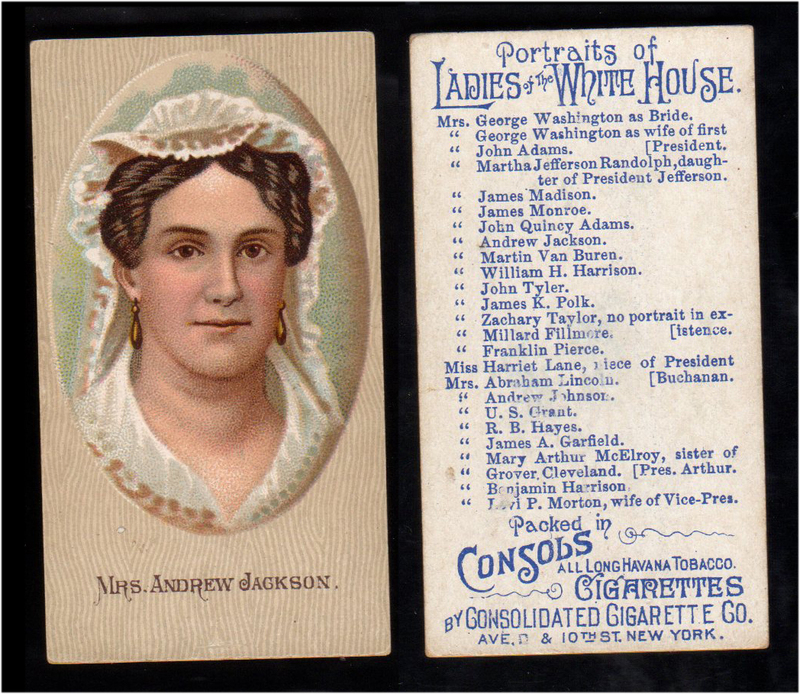 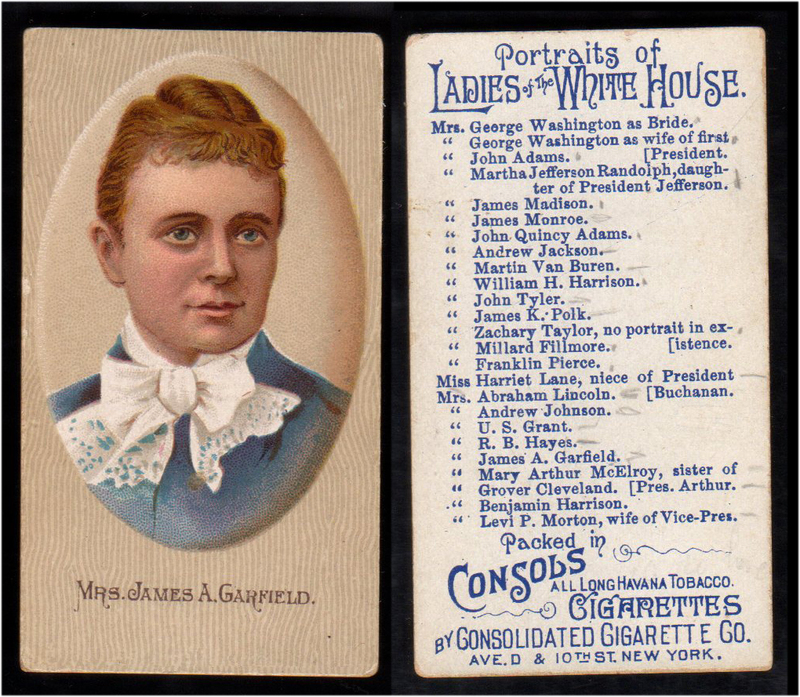 Consols Cigarettes N353 Ladies of the White House. 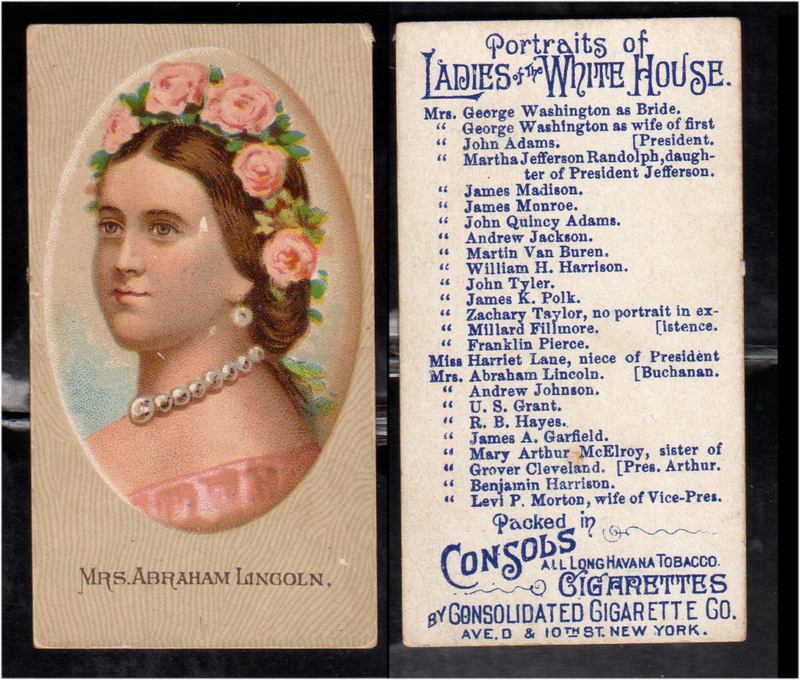 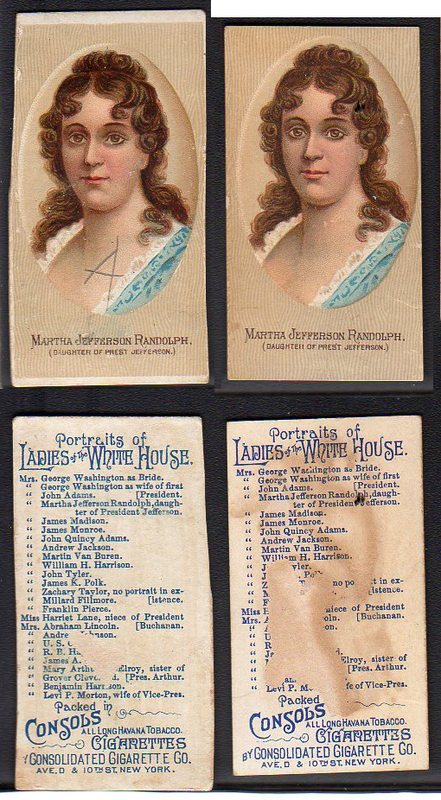 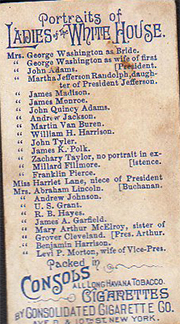 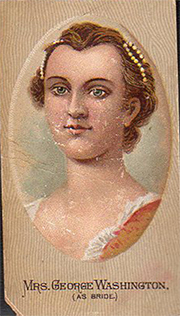 Issued between 1889-1893, The cards measure 1-11/16" X 2-7/8" there are 25 in the series. 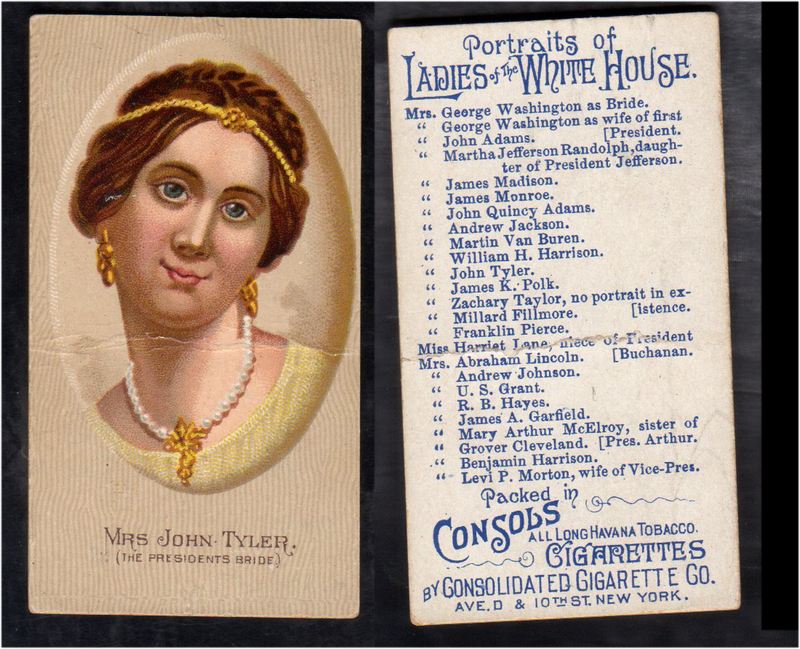 There is an unnumbered checklist on the back of each card with an ad for the company..